Storm Lake, Iowa served as the backdrop for a handful of Democratic candidates pledging to tackle anti-trust, corporate ag, and more. Senator Amy Klobuchar spent this past Saturday morning with victims of the disastrous flooding in western Iowa. In spite of their serious plight, they came together for a pancake breakfast. Later that day, she walked onstage at a small, nearby college to enthusiastic applause and told the crowd about the experience. Klobuchar was in town for The Heartland Forum in Storm Lake, where a handful of 2020 presidential candidates came together to shine a political spotlight on rural issues, particularly America’s struggling farmers and declining rural communities. The event, organized by the Open Markets Institute, the Iowa Farmers Union, the Storm Lake Times, and HuffPost, was hosted by Times editor and recent Pulitzer prize-winner Art Cullen—who the Des Moines Register noted has “newfound influence” ahead of the Iowa caucuses. 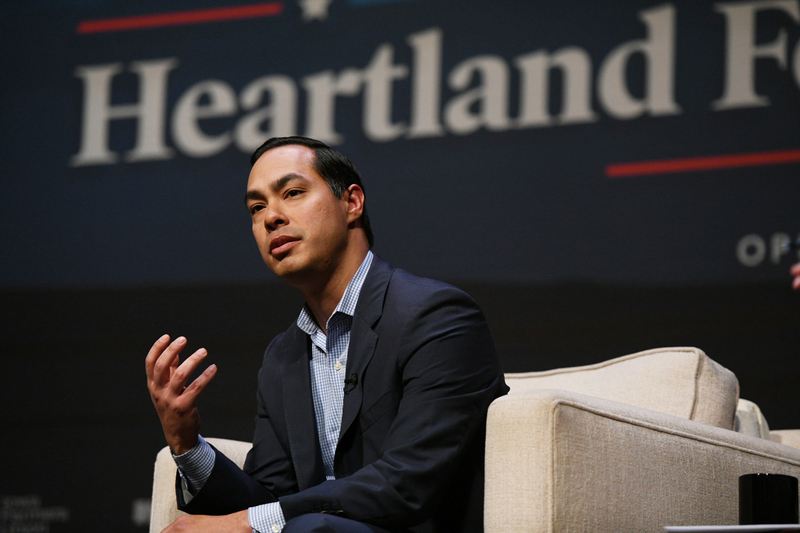 In addition to Warren, Klobuchar, and Congressman Tim Ryan (D-OH), the 800 attendees heard from former Housing and Urban Development secretary Julián Castro and Representative John Delaney (D-MD). Organizers said they extended invites to every likely 2020 presidential candidate, but most did not attend. 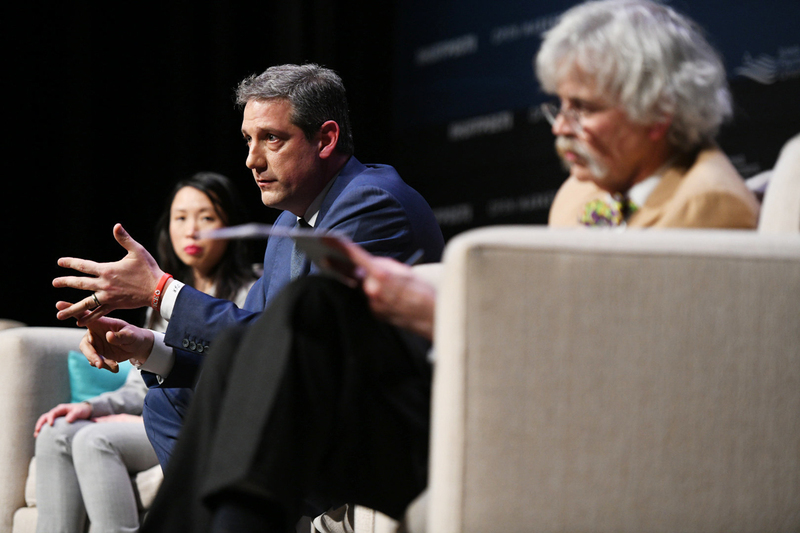 For the candidates who did attend, however, the forum presented an opportunity to win over the rural voters who have often felt underserved by Democrats in recent elections—but whose backing will be critical to get into the White House. For the rural voters present, it injected hope into the campaign season. 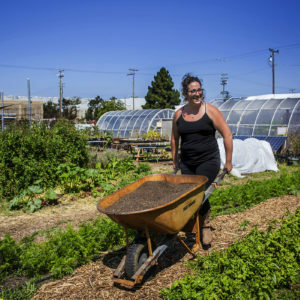 As has been well-documented, rural America is in a dire state, and farm communities in particular are struggling as a result of unprecedented levels of consolidation across all markets. Farmers take home less than 15 cents of every food dollar today compared to 37 cents in the 1980s. Four companies control over 60 percent of the seed market. Four companies slaughter half of America’s meat. Mega-retailers such as Walmart and Costco can raise, distribute, slaughter, and milk animals by contracting with independent farmers, who trade autonomy for profit. Big agribusiness corporations make billions of dollars while farmers shoulder the financial risk. “Some new vision needs to be executed there, because clearly the status quo is not working,” Austin Frerick of the Open Markets Institute, said prior to the event. Frerick recently wrote about his own vision for fixing the broken food system and reviving rural America by breaking up Big Ag. 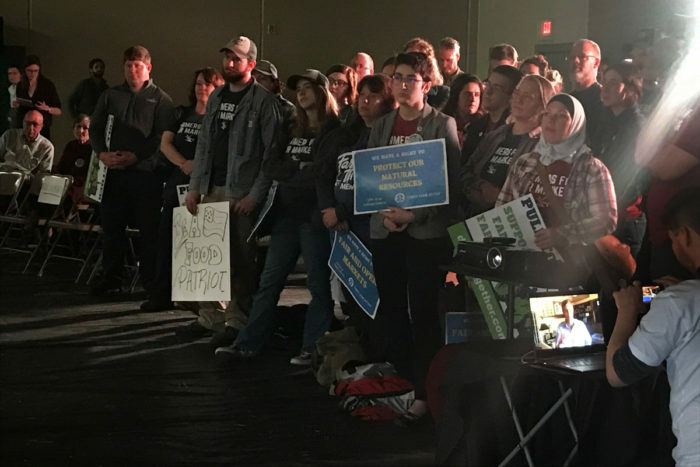 In the hours before the event, more than 150 farmers hailing from around the country made their vision clear at a “Farmers Bill of Rights” rally hosted by advocacy organization Family Farm Action. 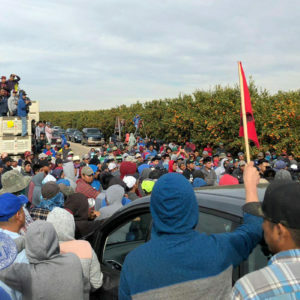 Speakers at the rally called on the government to enforce anti-trust laws, break up existing monopolies, and enact a “merger moratorium” to open the market and give family farmers a chance at fair prices with transparent labeling, while protecting natural resources. “We need our leaders to stand up and stand strong in the face of corporate interest,” said National Farmers Union Vice President Patty Edelburg, who is also a Wisconsin dairy farmer at Front-Page Holsteins. Others described the ways the economic struggles of family farms have rippled out through their entire communities. She said the “rural Renaissance” she looks forward to starts with tackling consolidation. 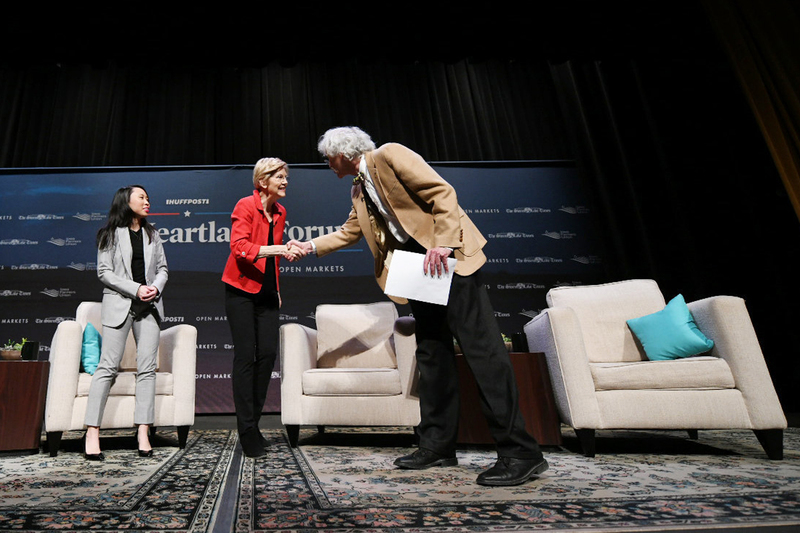 In the days before the forum, Senator Warren released a rural policy agenda in which she proposed leveling the playing field for America’s family farmers by enforcing anti-trust laws and breaking up large agribusiness companies like Bayer (which now owns Monsanto). “When a government works for those at the top and doesn’t work for the rest of the people, that is corruption pure and simple,” she said in a speech at the farmers’ rally before the forum, where she was the only candidate to make an in-person appearance. 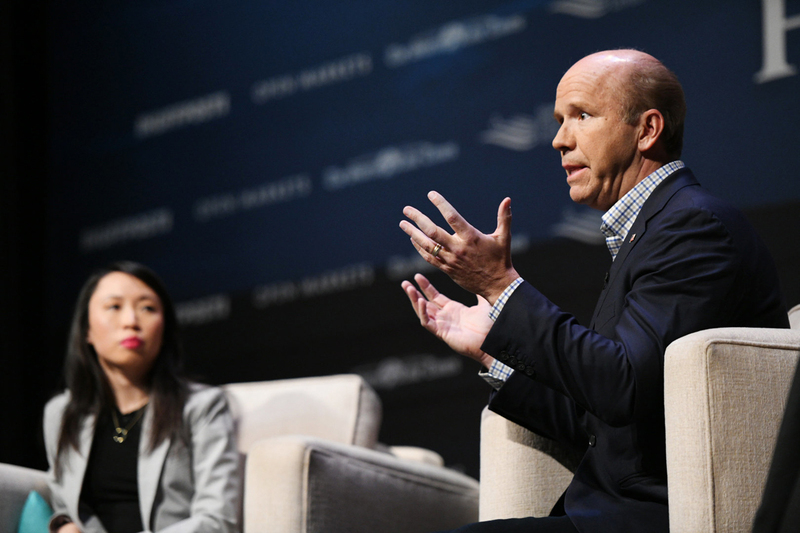 Senator Cory Booker and Beto O’Rourke sent video messages, Klobuchar sent a representative to speak on her behalf, and Delaney sent a written message of support. At the forum that afternoon, Warren discussed the same proposals, expressing her belief that fighting back against corporate interest in Washington is crucial for supporting farm income and garnering rural support for Democratic candidates. She also noted that foreign companies own an area of America equivalent in size to Virginia, which she called a threat to national defense and food security. Her proposed solution would expand nationwide Iowa’s ban on foreign land ownership. She promised to impose national “right-to-repair” laws if elected as well, and promoted reducing student loan burden as a way to make farming and rural living more viable for young people. 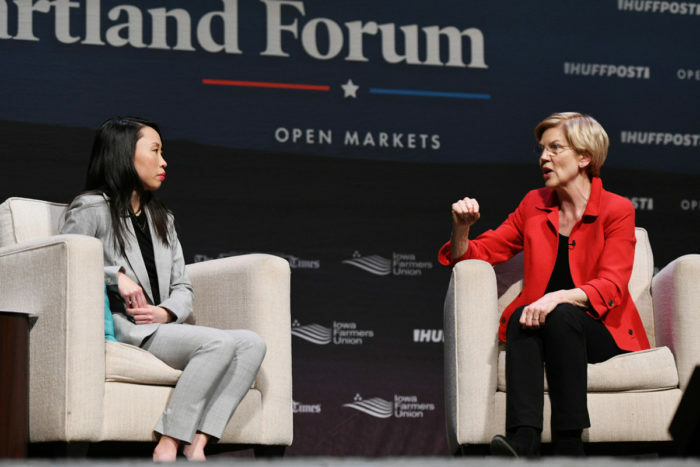 Like Warren, Delaney laid out a broad rural agenda along the lines of his newly released “Heartland Fair Deal,” which proposes redesigning anti-trust regulation to address concentration of power in agribusiness. It also lays out policy proposals in four areas, including a $1 trillion investment in public infrastructure with a disproportionate allocation to rural America, to be used especially for high-speed internet and climate resiliency. “I’ve always believed that unless you invest in people, unless you invest in communities, nothing really happens,” he said. 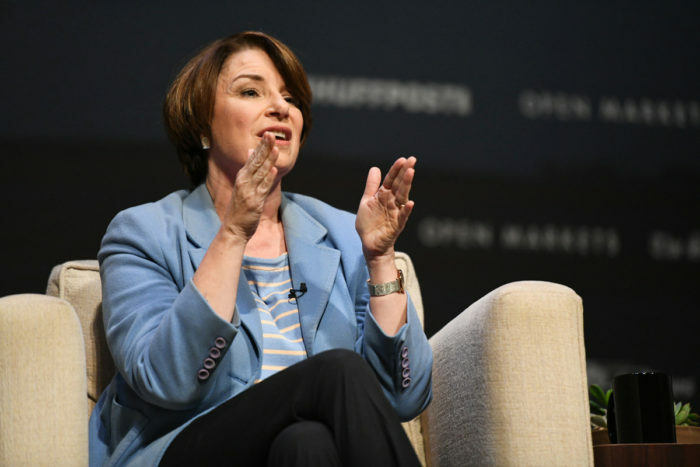 Klobuchar, who currently sits on the Senate Agriculture Committee as well as the anti-trust subcommittee, touted several policy proposals, notably two bills she’s proposed in Congress to tackle vertical integration in tech, which she said would apply to agribusiness as well. Rather than a “merger moratorium” in agriculture, Klobuchar would want to review each case individually. She expressed serious doubts that the current court system would get tough on anti-trust, though. She suggested focusing on changing laws and better enforcing existing rules as the best immediate option. Castro touched on agribusiness only briefly, saying that officials at the Department of Justice and elsewhere need to consider impacts along the production chain as well as consumer need when analyzing anti-trust. He said the U.S. Department of Agriculture and the Small Business Administration could play a “tremendous role” in pursuing policy to make sure small businesses and family farms were well-capitalized as well. His comments came in response to a question about promoting resiliency in Midwestern farming, and his answer also touched on boosting funds for environmental protection. “Our family farms help feed America—and the world, really—so we need to make sure that they can succeed, and also that people in these rural areas and rural communities can have clean air and water. Number one, I would appoint people to the EPA who actually believe in environmental protection,” he said, earning the audience’s applause. Cullen asked Ryan whether there is too much corn in Iowa, and whether conservation programs could create a new revenue stream. 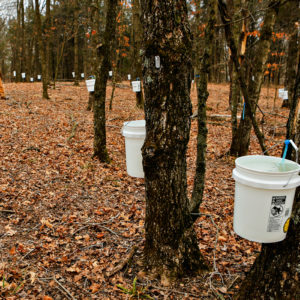 Ryan called for “beefing up” essential conservation programs. Ryan also expressed his disdain for monopolies—“You know what we call this in Youngstown? It’s a scam,” he said. But he didn’t present any clear ideas for change. He did note, however, that the issue would be key in attracting rural voters to democratic candidates. He emphasized that his native Rust Belt region faces many of the same issues as rural America, like devastating loss of jobs and people, as well as high rates of substance abuse, and yet there are no concrete plans for revitalization. 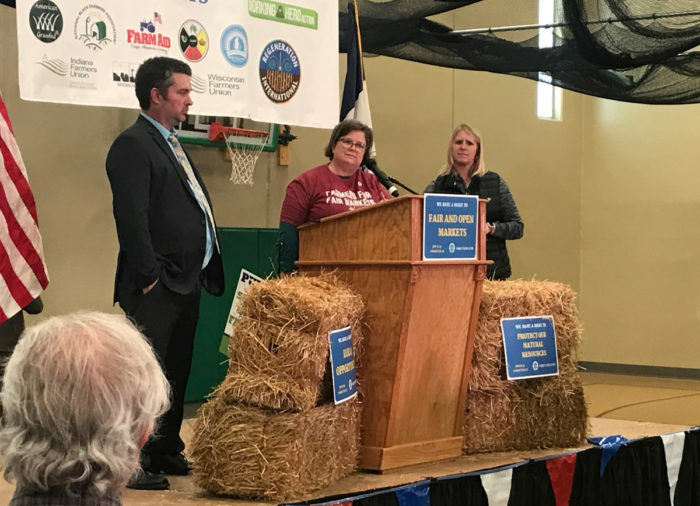 “Overall, I thought it was cool that several candidates came to address rural issues” at the forum, said Carmen Black of Sundog Farm in Solon, Iowa. Black was pleased by the mix of questions from both reporters and local residents, and especially appreciated Klobuchar and Warren’s interest in addressing consolidation. One issue she had hoped to hear more about, however, was land access for young farmers like herself. The forum made it clear that the participating candidates have all put serious thought into rural issues, but what about the others in the race? “I think it says a lot about which candidates are trying to make inroads into rural America,” said Open Market Institute’s Frerick, noting that many other candidates spent the weekend fundraising in California. Even so, nothing the participants said at the forum disappointed him; he was impressed especially by Klobuchar’s analysis of anti-trust issues and Ryan’s closing message about revitalizing both rural America and the Rust Belt. Civil Eats will continue to follow the conversation surrounding food, farming, and rural issues during the 2020 presidential campaign. Pray tell, why tell me of the event after the fact? I live just 2 hours drive from the college. I wish you'd get your **** together on your postings. I've been waiting for 50 years, and still it's all about poor communications and no action.